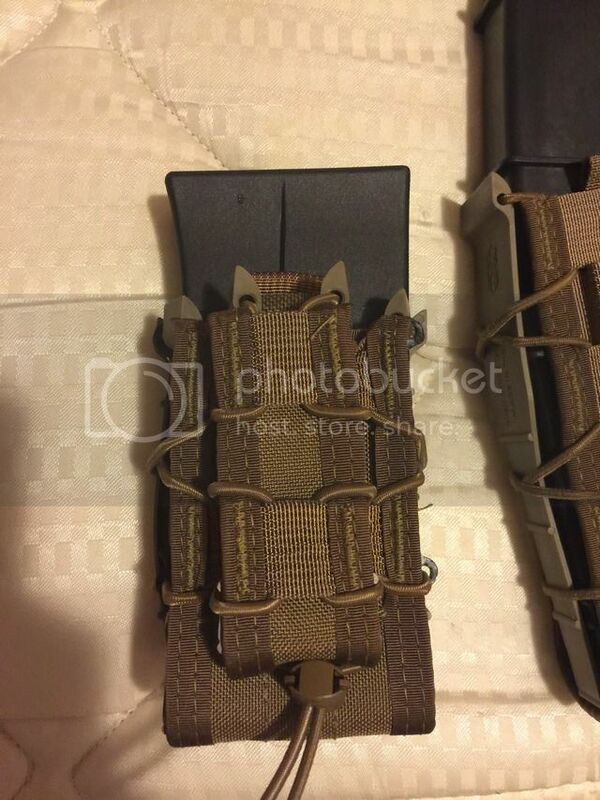 Anyone know of any type of mag retention system for sgm/apg/stock style mags if its a bungee style or Velcro or krydex snap in that would have a molle strap system? 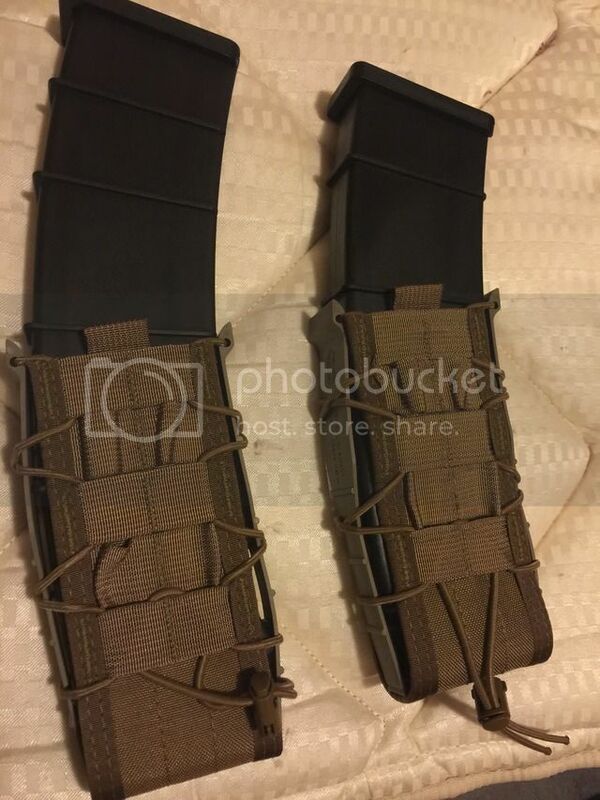 Or would these mags fit in a typical ak47 mag pouch? No, you need to look for pouches and gear that are sized for 308 magazines. I like the romanian leather two pocket pouches meant for 4 AK47 mags. I hear good things about the CSGI TACO pouches, particularly the larger size ones. same pouch stretches and retains heavy mags without loops or straps in the way. Really clever design. I'll probably get some eventually. Which are you asking about? I only own the Romy pouch (search for a thread I started with 'Holy Grail' in the title for more discussion about this.) Mine was much nicer leather than most I have seen, to the point that I was convinced for a long time that I had a different item. Clarifying terms, the double AK mag pouch of this pattern has one pocket which will hold 1 S12 mag. The quad pouch has 2 big pockets which will hold 2 S12 mags. Actually I just found this! Nice! I want them in Urban Grey. These are the specific Saiga 12 pouches with a sgm 12 and 10 rounder loaded in, initial feelings are this was a good choice. Very secure after a quick adjustment and I couldn't shake the mag out of it but could easily pull it out. The standard AR/AK pouches do fit a Saiga mag as well but the purchase it has on a larger one isn't something I'd trust. Maybe with a 8 rounder or the 5 rounder I have pictured. I tried putting 2 mags Saiga mags into the double pouch and it worked but I think the pouch would be awkward with anything bigger then a oem 8 rounder. 10 round apg and 5 round oem mag were very secure and I probably needed to relax the cord a bit. I found these on Amazon. 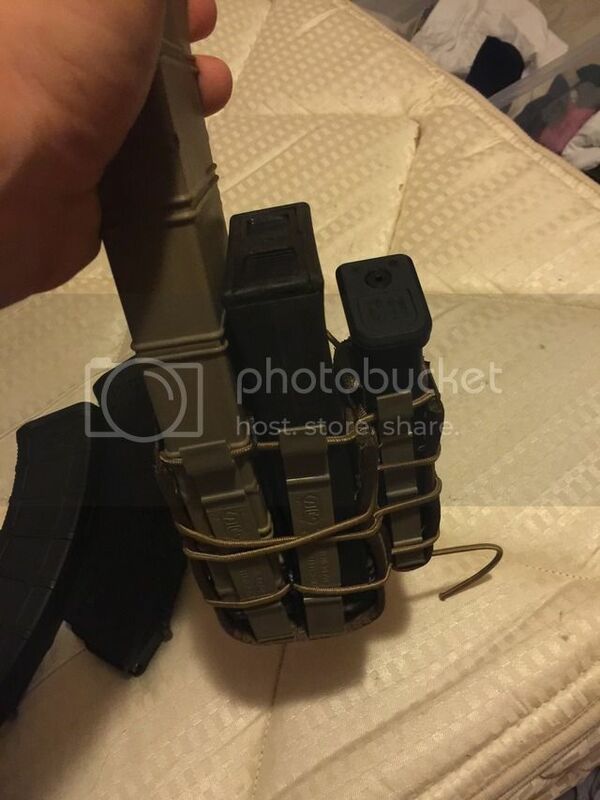 They hold 5 of the CSSPECS 8-round mags just about perfectly.